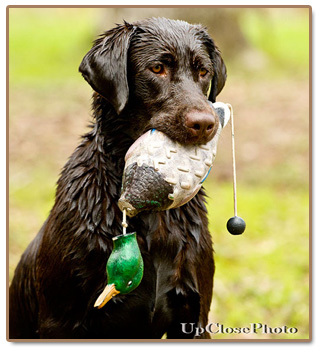 Located in south Mississippi on 80 acres of forest, flatland, rolling hills, and training ponds, Gator Point is the nearest thing to heaven for retrievers. We have placed puppies in 49 states (Hawaii has a 3 month quarantine), eight Canadian provinces, Mexico, Germany, Switzerland, and the United Arab Emirates. 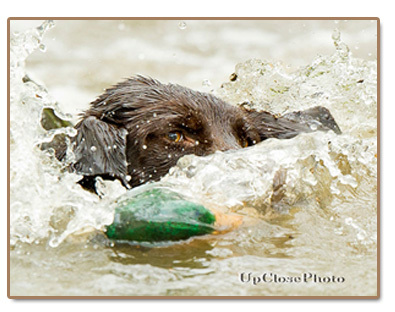 All dogs are registered AKC/UKC, and DNA profiled. Gator Point has a specially-developed, exclusive tattoo system of identification. Every puppy is tattooed and micro-chipped. Please look around our site. Gator Point Kennels also offers training services. Gator Point is now owned and operated by Mandy Cieslinski. Below is a letter from Bill and Cleo Watson. Bill and I would like to take this opportunity to thank all of you for your business and friendship over the last 30 years. We can t begin to tell you how much we have enjoyed our association with you and our dream of bettering the breeding and reputation of the Chocolate Labrador. We have been truly blessed in so many ways. We selected the breeding of the Sires and Dams with the hope of improving the breed but, each of you are responsible for the heights you have taken your pups. Each of you has made Gator Point a respected name and we thank each and every one of you. All things usually come to an end and old age has caused us to reach that stage of our lives. We so wanted to see our dream continue. With that in our hearts and the respect, trust and love we have with Mandy Cieslinski and her love for our dogs, we are passing on to her the Gator Point name and line. We know that she will continue and improve on what we started. Gator Point Kennels will remain in Mississippi at the same facilities! Feel free to call and talk dogs or let us help you find your next pup. Again, thank you so very much for your friendship and business over these many years. God Bless each one of you.